A bridal shower Hollywood theme party can be just the right "ticket" for that special bride-to-be, or couple. Glamour, glitz and star power, make this party theme unforgettable. So, let's get this show on the road! • A private home or rented hall are the best locations for proper staging of this theme. Keep in mind the number of guests you'll have when determining the site. 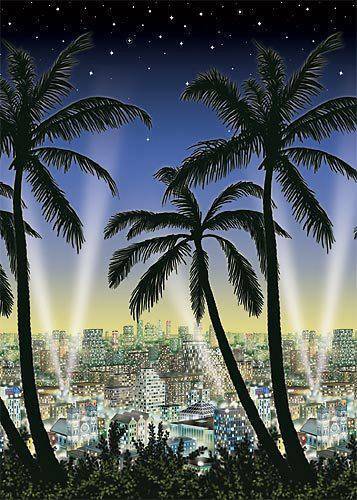 • Your Hollywood party invitations will announce the theme to your guests. 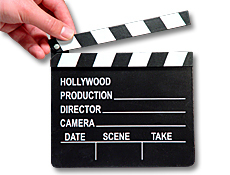 A clapboard, movie ticket, popcorn, or a film reel, are some of the design possibilities. If you'd like guests to bring a gift that's related to the bridal shower Hollywood theme party, request this in the invitation. You may also want guests attire to be a part of the bridal shower Hollywood theme party. Having them dress like they are going to an awards show, is a fun idea. Another option is to come as their favorite star, living or deceased. 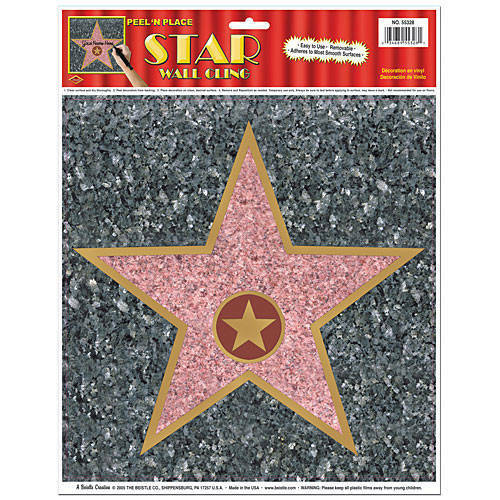 • Shindigz.com has a big variety of Hollywood decorations. 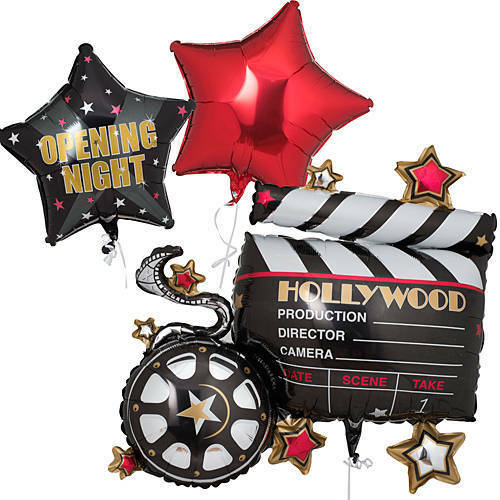 • Hollywood Party Decorations set the stage. Your guests arrive and take a walk down the red carpet (red vinyl runner). A spotlight shines on them, and a picture is taken of them with a celebrity life size cutout. This will become a souvenir to take home. The main room is decked out in gold, silver and black. Balloons, streamers, and star lights create this glittery effect. Completing the Hollywood decorations is a banner announcing the bride-to-be or couple, as the "stars of the evening". Directors chairs are available for seating. Movie posters, celebrity pictures, and famous street signs add to the atmosphere. Movie magazines, camera props, and award trophies are displayed on tables and shelves throughout the room. 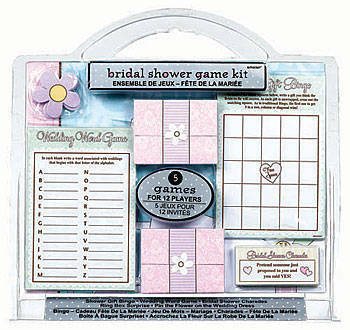 • Keep guests entertained with this game available for your bridal shower Hollywood theme party. • Talent show...Categories are acting, dancing, and singing. Guests pick their category and do a timed routine. Judges are those who don't want to participate. 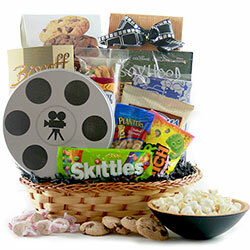 Consider the bride-to be, or couples favorite movies. Play the soundtrack to several of these. • Popcorn...How about using a popcorn machine for a special effect. • Serve a "sparkling" punch recipe for your Hollywood theme. Dazzling Dessert: Sheet cake frosted with white icing. Write the words "star couple", "leading lady", or some other saying appropriate to the Hollywood theme. • Would you like some more party theme ideas?.